^ a b c d e f g h i j k l m n o p q r s t u v w x y z aa ab "IMF". www.imf.org. Retrieved 2018-01-30. 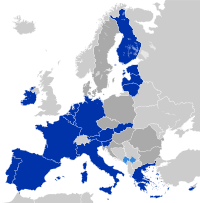 ^ a b "Regional and minority languages in the European Union" (PDF) (PDF). European Parliament Members' Research Service. September 2016. Retrieved January 16, 2019. ^ McGarry, John (2010). Weller, Marc; Nobbs, Katherine, eds. Asymmetric Autonomy and the Settlement of Ethnic Conflicts. Philadelphia: University of Pennsylvania Press. pp. 148–179. ISBN 978-0-8122-4230-0.